Spring, to dog parents of athletes, means it’s time to get their canine partners back into training in preparation for competition season. 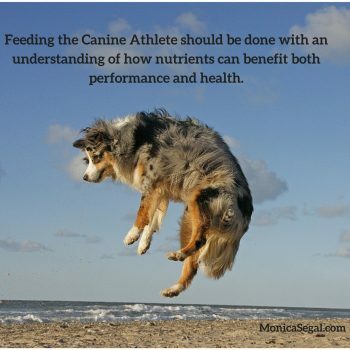 What to feed the canine athlete is a question we get a lot this time of year. 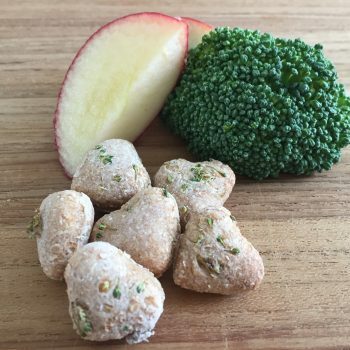 Though there isn’t one magical diet that every dog should be eating, there is a bit of a trick to the timing of the feedings and the foods that are most likely to benefit the dog. Ensuring your dog’s diet has optimal vitamins, minerals and fatty acids is key for top performance and injury prevention. Antioxidants, hydration, supportive supplements all play important roles in a performance dog’s game plan. It can be challenging trying to find treats for dogs with kidney issues. 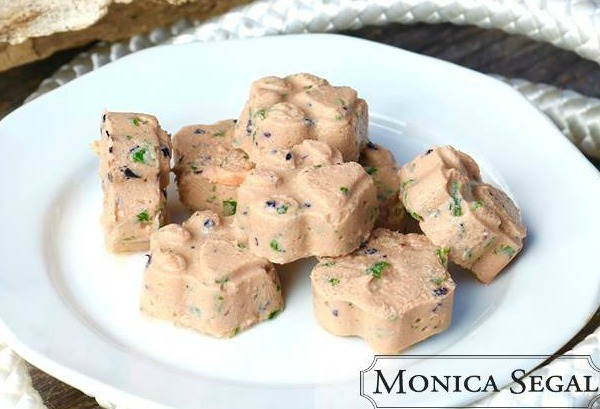 These treats are easy to make and low in phosphorus and sodium. 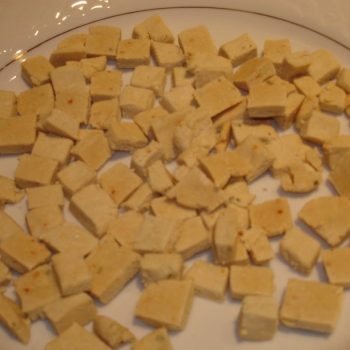 Note that the calcium addition is important for the kidneys, but if you are making these for a healthy dog you can omit it. Most pet parents have never heard of this in people much less in dogs. Some veterinarians are on the fence about it being factual, but more and more specialists agree that it happens and can even point to a study. There are many different nutritional philosophies – in human nutrition there are ketogenic diets, paleo, pescatarian, Mediterranean, vegan, vegetarian … the list goes on. 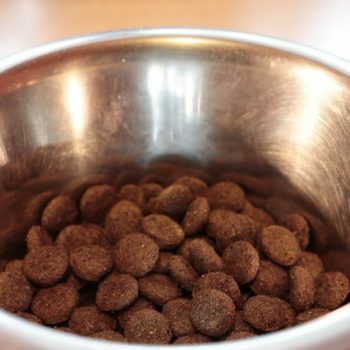 So, it’s no surprise that there are different philosophies when it comes to feeding our dogs. 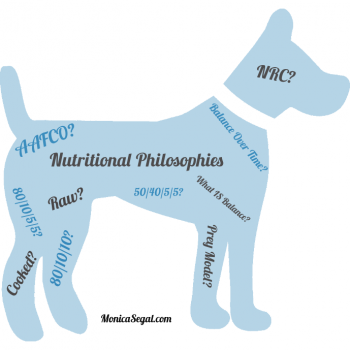 In dog feeding circles, there are various feeding percentage ratios from 80/10/10, 80/10/5/5 to 50/40/5/5 and others, then there’s raw vs cooked, 100% balanced meals daily, balance over time – and is balance obtained by a ratio or by AAFCO or NRC? 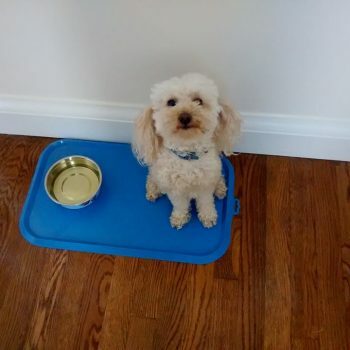 Whether you look at feeding philosophies for yourself or your dog, it can be so overwhelming that we can have a tendency to give up and eat or feed whatever we want because nobody can agree on anything. Please don’t give up -diet is one thing we can actually control and it’s been shown to be one of the biggest contributors to health and longevity in our dogs. 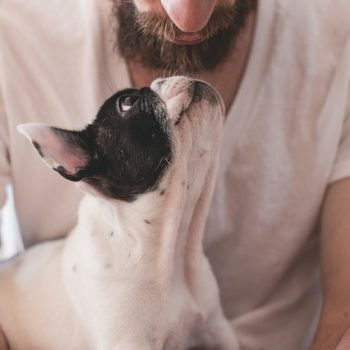 Many dog parents are aware that gut health is important for overall wellness and that there is a relationship between gut health and food intolerances and allergies. 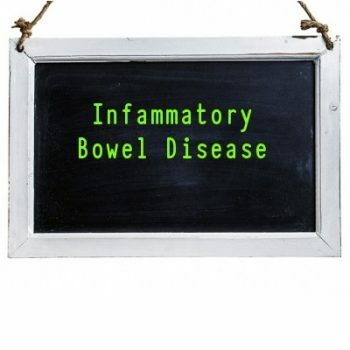 Inflammation from within is often expressed externally as itching, scratching, and loose stools. We see problems arise when well-intentioned owners try to treat their dog’s food sensitivity or intolerance issues by adding probiotics and fermented foods -before they’ve eliminated the food triggers. 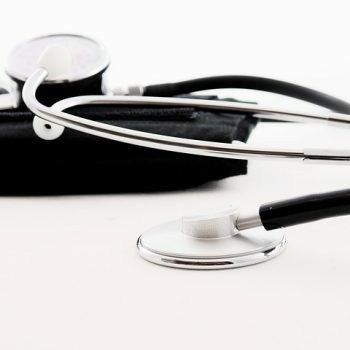 Lower-than-normal zinc levels may contribute to high blood pressure (hypertension) by altering the way the kidneys handle sodium. Our comment: A mouse model may, or may not be applicable to dogs, but gives a reason to consider this new finding for further study. Poaching is the process of gently submerging and simmering food in liquid. 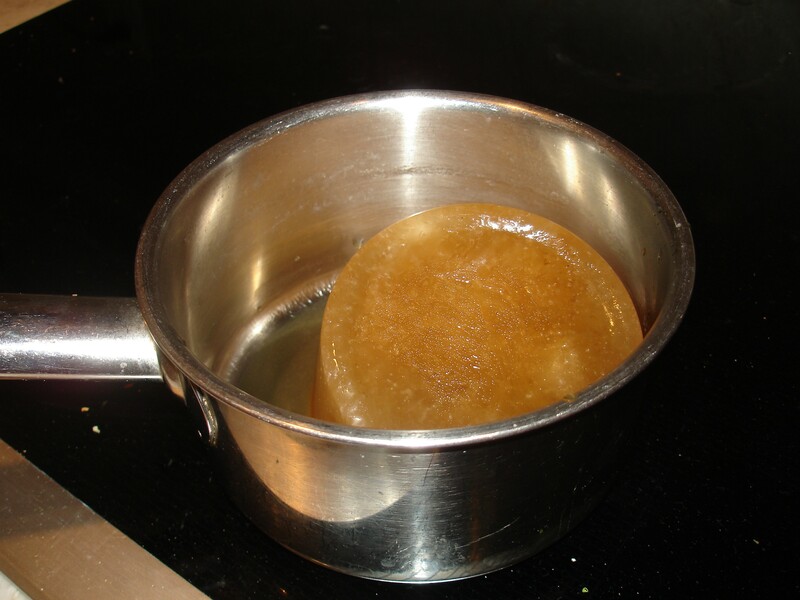 The water or liquid is at the proper poaching temperature, which ranges from 160°C to 185°C, when small air bubbles start to form at the bottom of the pot and just a few bubbles break the surface of the liquid. 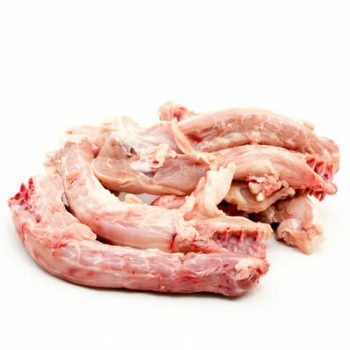 Bone broth can be a healthy way to rest a dog’s GI tract and nourish it. Everyone has their own way of making it. Mine is super simple without additions of veggies or herbs because having this basic broth in the freezer allows versatility. Beef liver is sometimes included in the diets we formulate. Although it contains other nutrients, beef liver is a very rich source of copper, so not much has to be fed in order to meet a dog’s copper requirement. 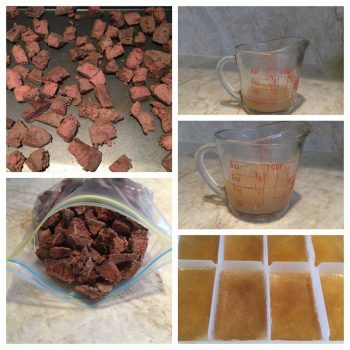 Here’s an easy way to have the right amount of beef liver ready at all times. Use it as a treat, or mix in food. The broth can be used as an addition to food, or for a warm, liquid snack. 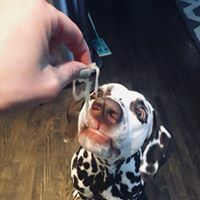 If you are new to feeding your dog fresh foods you’ve probably tried to research by going online and joining a FB group (well, it’s rarely one ) for advice. You were most likely told to follow some guidelines based on a % – such as 80/10/5/5 or 80/10/10 or 50% raw meaty bones plus some other % for organs, muscle meats and maybe some veggies. There are many thoughts on what the ratios should be and it’s very confusing. It’s confusing because the suggestions are based on opinion without much information for substantiation. Most feeding methods are based on percentages that try to approximate the composition of a prey animal. People figure out how much bone is in the prey animal and how much that contributes to the bone % of their chosen feeding method. Then they have to figure out how much of the organs of an animal contribute to the overall organ %- but often get confused on classifying secreting glands, muscle meat and organs %. And then what about veggies, seeds and oil balancing??? Taurine deficiency in dogs has been seen in raw fed, kibble fed and home-cooked fed dogs, and not accepting this fact is dangerous, so I want to try and be a part of the solution rather than divisive. I hope you’ll join me in this endeavour by Sharing this post because when all is said and done it’s our dogs that are at risk. IMHO this needs to be about the dogs’ realities rather than our preferred feeding methods. 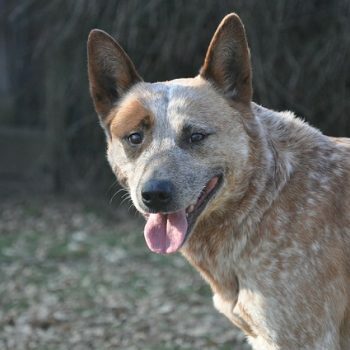 You may have heard that raw fed dogs, especially those eating animal hearts can’t be deficient. I’m here to tell you that I’ve worked with dogs that were. Please read everything below. Others say that kibble containing peas and lentils are causing the problem. That makes some sense, and the FDA has put out a warning. It comes a bit late since the investigation started quite a while ago. The National Research Council (NRC) guidelines were written by an independent group of scientists and are based on fresh food ingredients, not processed pet feed. Whole prey meets the NRC numbers, so for the ‘new’ thinking as regards prey model diets, if you believe they’re best, you should also believe that NRC is as good. While any disease that strikes our dogs is one too many, there are situations that include more than one disease at once. In cases of cancer combined with just about any other disease, owners are likely to focus on the cancer first. From a nutritional point of view, this reaction can be dangerous. 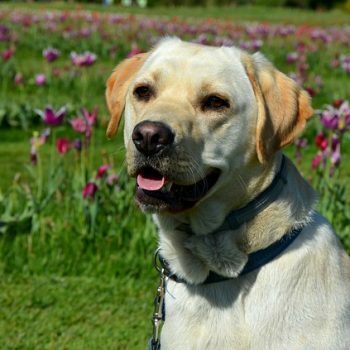 Spring crocuses are attractive to many dogs. Ingestion can cause vomiting and diarrhea leading to dehydration. Why does my dog eat poop? How do I stop my dog from eating poop? These are two very popular questions that dog owners with poop eating dogs ask on a daily basis. Why dogs do it is unknown. Regardless of who says otherwise, it’s really not factual. Some say it’s because puppies see their mothers doing it when mom cleans the pups, and they start to imitate her. Others say dogs eat stool because instinct drives them to remove anything that might identify them to another dog, or different species. Yet others claim it’s due to the diet being fed (which actually can have some impact), or that the dog is missing something in the diet. Inflammatory markers increase as dogs age just as they do in people. 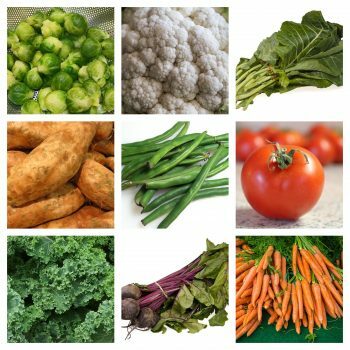 Chronic Inflammation is part of all kinds of nasty things (cancers, et al), so we want to push anti-inflammatory foods and supplements. We want to do that for all dogs, but especially the older ones. 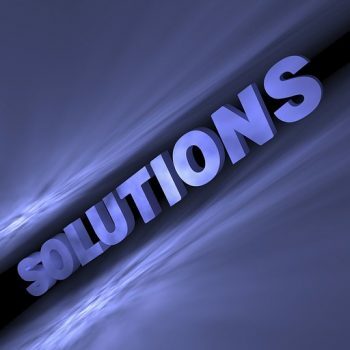 I could show you a zillion foods, herbs, and products that may help, but these are the basics. I didn’t include acidophilus in the collage, but only because it actually depends a lot on what the diet includes to begin with. For most dogs, I want acidophilus 2-3 x weekly. 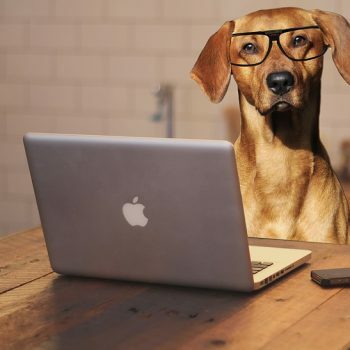 Canine nutritionist, dog nutritionist, canine nutrition consultant, canine raw feeding consultant, raw feeding specialist, nutrition advisor, and perhaps others. Trying to sort through the titles people may use to define themselves can be confusing. Here are some facts to help you out. McGill University in Canada is home to professors John White and David Goltzman in the Faculty of Medicine Department of Physiology. These two men lead a team that discovered that vitamin D in active form essentially shuts down cancer cells. Before everyone starts to pop vitamin D in mega doses, or gives huge amounts to dogs, let’s get more of a handle on the mechanism of action that causes this incredibly beneficial effect. It turns out that vitamin D inhibits production and function of the protein cMYC which happens to be the driver behind cell division and is active in elevated levels in over half of all cancers. The natural antagonist of cMYC is called MCD1 (had enough of letters and numbers yet?) 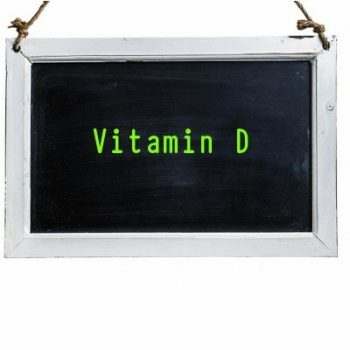 and what’s key here is that vitamin D stimulates production of MCD1. So, essentially, we have more more of the good stuff to shut down the protein that drives cell division in a great many cancers. Some nut butters (not just peanut butter) have changed to include xylitol, a natural alcohol sweetener. Xylitol is poisonous to dogs, causing liver failure and dangerously low blood sugar. Note: Not all natural alcohol sweeteners are a health risk for dogs, but if all the label states is “sugar alcohol” without stating which one, you’ll want to keep it away from dogs. There are a number of liver problems that can cause liver enzymes to increase, and sometimes the primary problem isn’t the liver. I ask for a lot of information when working with these cases, and not all have medical answers, but I can generalize some things for you here. 1. No red meat. It produces a lot of ammonia which the compromised liver doesn’t manage that well. These three frozen treats are super-easy to make, and they’ve received two paws up from our own dog, and the furry taste testers so far. I thought this was a good time to put them in a newsletter, so you could always access them easily. Keep in mind that while they’re fun to make and cute to look at, they actually serve a really good purpose from a nutritional standpoint. 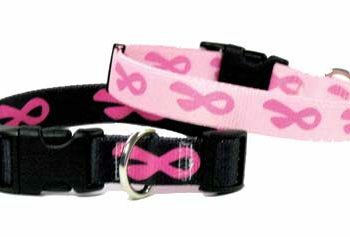 Each one provides a bonus for your dog’s health. 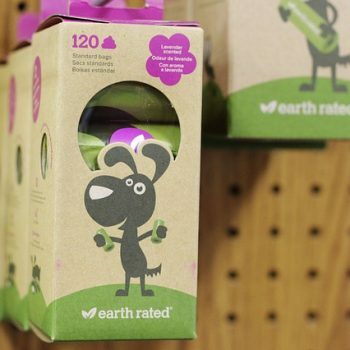 Are You Avoiding Healthy Foods For Your Dog? Many dog owners in my world are concerned about every warning they receive via newsletters, articles, blogs, and not concerned about some things I think they ought to be. For instance there’s a naturally occurring substance called oxalate which is found in many foods. 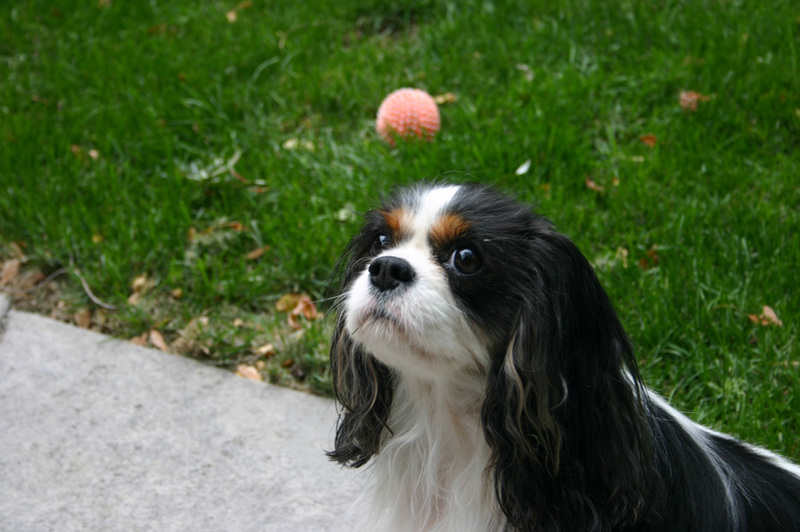 In combination with a genetic predisposition, excretion of calcium through urine, and some other issues, this can cause calcium oxalate bladder stones – but, it’s not likely unless you have a breed known for these stones. 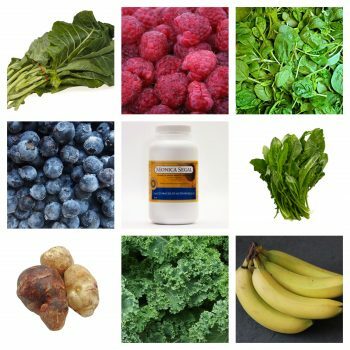 Foods that are high in oxalate also happen to be high in remarkable anti-oxidants and phytochemicals. Read more Are You Avoiding Healthy Foods For Your Dog? Our Tori’s health challenges brought so much to the table that learning how to manage everything provided lessons she allows me to share even now that she’s gone. For example, Immune Mediated Hemolytic Anemia is exceptionally expensive to treat, and if there are relapses it becomes worse. Pet insurance was a must-have and thankfully we had it. I appreciate that it may be considered inappropriate/crude to talk about money, but I think it’s unrealistic not to. All in all Tori experienced 5 relapses, the last of which became a runaway train that no amount of money or medications could push back. I read your comments on a site last night, and your point was so eloquently stated and so sincere that I want you to know you’ve been heard. Maybe not by thousands of people (yet), but you made me stop and reevaluate some aspects of the human condition. Thank you for that. In reply to an article about seeing a holistic vet and feeding the diets they suggest (organic chicken, wild rice, mixing meats with those premixed packages of veggies, grains et al), and articles about kefir, organic yogurt…all of these being luxury items for many, many people – you mentioned the vitriol displayed toward people who can barely afford pasta and canned tuna for themselves and their families. Lead Toxicity of Bone Broth – Should You Worry? Bone broth has become popular for dogs and people. It’s been touted as being nutritious, and having healing properties for the gut (don’t try it on dogs with GI diseases that demand a low-fat diet) at minimum. There may be a glitch though. 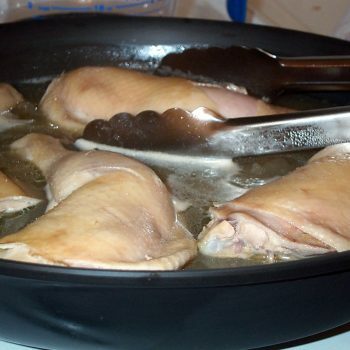 In a study The risk of contamination in bone broth diets the researchers wanted to know if the bones of chickens sequestered lead “A small, blinded, controlled study of lead concentrations in three different types of organic chicken broth showed that such broths do indeed contain several times the lead concentration of the water with which the broth is made. 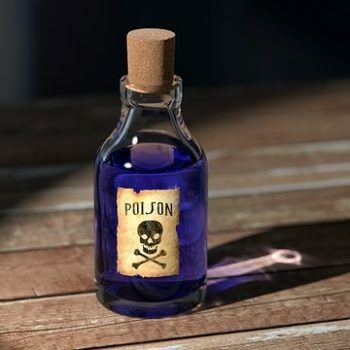 Read more Lead Toxicity of Bone Broth – Should You Worry? Your Fat Dog – Yes, Yours! I’m talking to you. Yes, you! The one with the Cavalier King Charles Spaniel that’s “just big boned”, the owner of that Mastiff who is “supposed to be this large!”, the Beagle devotee who loves the “plushy rolls that are part of being a hound”, and every other dog owner out there who’s looking at their dog through the fun-house mirror that makes their dog look thin. This is for people who think their vet just likes skinny dogs too. Read more Your Fat Dog – Yes, Yours! 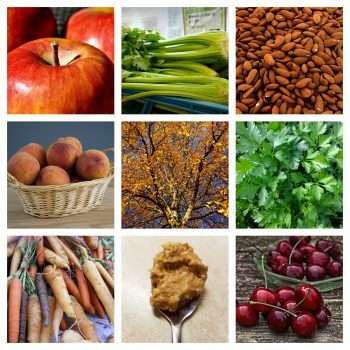 If the weekly questions in my in-box are any indication, there’s a lot of confusion out there about diets for liver disease. Here are some facts that can help you sort things out. I’ll try to keep it simple. There’s more than one reason for a dog’s liver enzymes being high (blood test results panic a lot of dog owners). 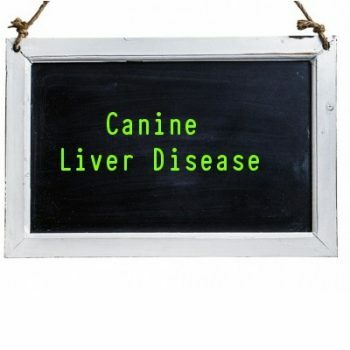 Just because enzymes are elevated doesn’t mean the dog has a liver disease. It might be the case, but it’s not a given. Sometimes enzymes go back down on their own without any dietary changes, and sometimes even without medical intervention. 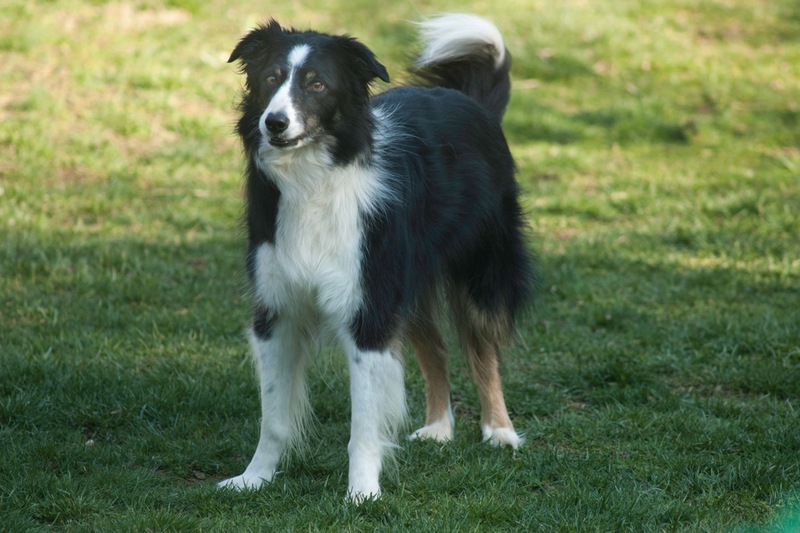 There are speculations as to why this happens to one dog and not another, but your best bet is to stay calm, listen to your veterinarian and don’t start throwing all kinds of supplements into the dog out of panic. Everyone has an opinion about which oil is best to add to a dog’s diet, and some people say to add none. Sometimes all the noise and excitement about a product seems to ignore the facts, so here are a few that can help you make sense of whether to add an oil, which one might be best, and in what situation. I had to start with this one because it’s been touted to do just about everything under the sun, and that’s just not factual. Don’t get me wrong. I think there are some really great uses for the stuff, and I add it Tori’s diet (and use some on her skin). I just don’t like the bogus claims attached to it. 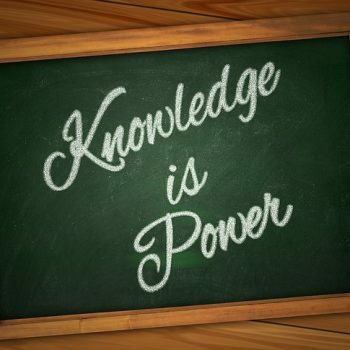 In all cases: it can be due to parasites, indiscriminate eating, GI diseases…you need to know the “why”. But for the odd bout of the poopies, fasting the dog for 12-24 hours rests the GI tract. Some people say it’s not necessary, but I find it really helps because the more you feed, the longer the system seems to stay on auto-pilot to flush everything out. Keeping the dog hydrated during a fast is critical though. 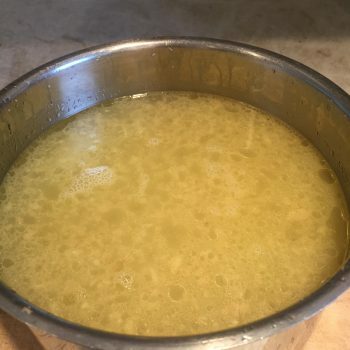 Encourage water consumption, and if the dog refuses, try adding a bit of chicken broth (skim any fat).Diarrhea combined with vomiting = vet visit, sooner rather than later. A dog with yeast overgrowth is not a happy animal, and I’ll admit to being short tempered when I read some of the articles/blogs/websites that provide less than factual information. Frankly, we need to do better than that, so to that end, I want to walk you through the real deal about yeast. 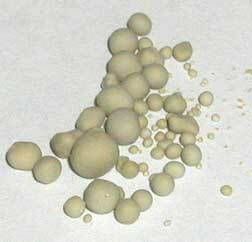 What it is: The most common type of yeast in dogs is called Malassezia, and is a normal resident of the skin. Normal. Keep that in mind. What it isn’t: a new invader.It’s been coexisting quite happily and harmoniously on your dog forever. I received an email about one week ago. It was a birthday announcement for a dog who belongs to a client. 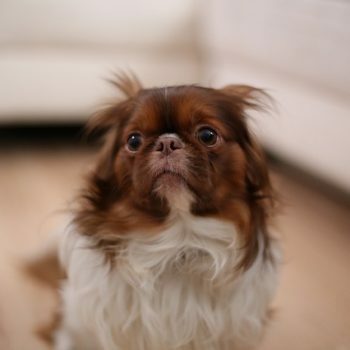 Chevi has just turned twelve, and seeing the latest picture of him made me smile. It also made me want to tell his story because his owner and I have kept in touch to tweak his diet as necessary over the years. Rita gave me permission, so I’m going to quote her because she says it better than I can. “A year and a half ago, the cardiologist thought he probably would not see age 11. He’s been fighting heart disease now for 3 years. The good days still outnumber the bad… Still barking at the mailman, patrolling the backyard fence line, playing a little ball. Life is good. There are times when medications can’t be avoided. In fact, sometimes they must be for life, and it’s these situations that tend to bring the toughest side effects to deal with. But! – dietary manipulation can go a long way to helping the body cope better, and even reduce the risks. Let me use our dog, Tori, as an example. I have a love-hate relationship with Prednisone because it’s saved her life, but it certainly has side effects. 3. Because the dog thinks it tastes good. Let’s face it – dog’s don’t have the same taste preferences we do. 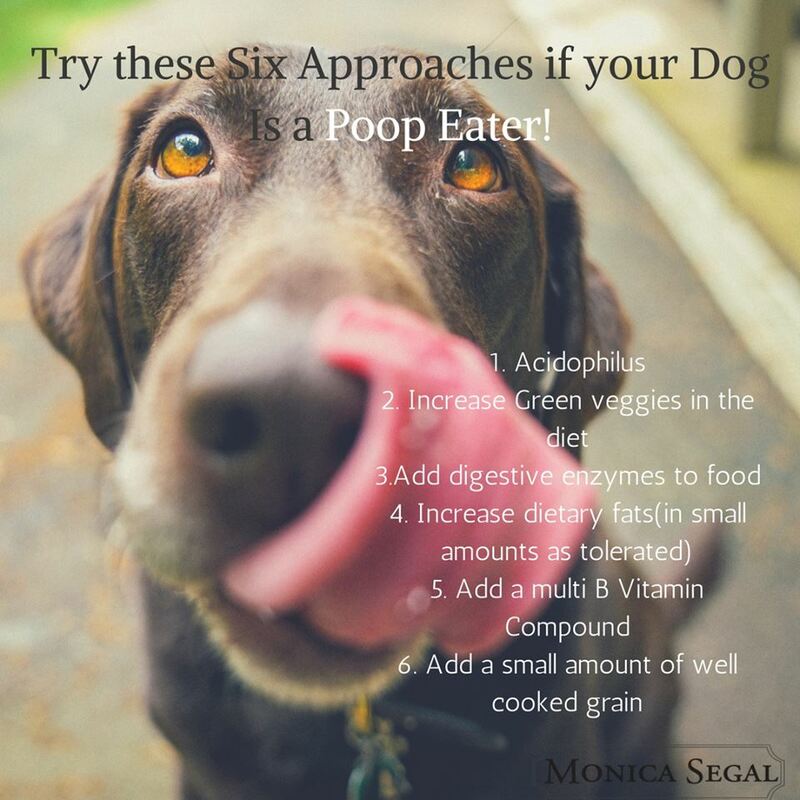 Read more Why Do Dogs Eat Poop? Eggs, milk products, fish, and meat (in this order) have the highest biological values, so it goes without saying that your dog would do well to eat these. What about the other foods, though? My experience suggests that dogs do this for two main reasons: they’re using it to purge their bodies of something (food that disagrees with them, or something they’ve ingested that may, or may not be food), or they’re searching for something to do, and perhaps enjoy eating. In other words, the dog may find this behavior entertaining, relaxing, or even nutritionally beneficial. You can tell which of the two a dog is experiencing by watching the way they go about eating it. All of us worry about our dogs at some point. 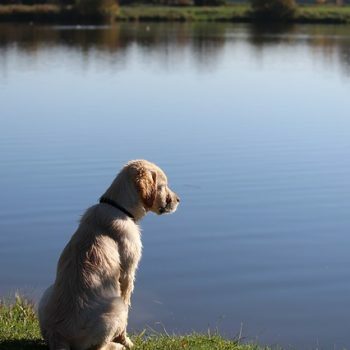 Some to a greater extent, some to a lesser, but only people who shouldn’t have dogs will breeze through dog ownership without ever feeling that pang of doubt, or worry when the dog seems not quite right. So, how worried should you be? Eyes shed tears for many reasons, and some are due to serious health problems. Don’t ignore the tearing and staining without seeing your veterinarian. 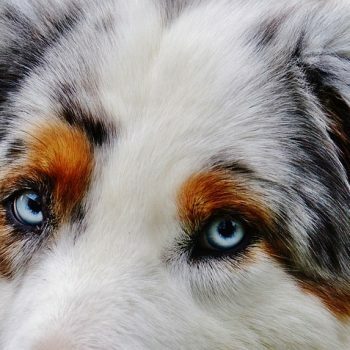 Your dog might pay the ultimate price and lose his/her sight altogether if you assume that what you’re about to read applies to every single dog. But! – the pictures below are a clear demonstration of how big an impact diet can make. The skinny dogs…the ones with spines that poke out, appetites that are poor for no health reason per se. They’re stressed out, scared, guarded, and many just got out of shelters. That’s what I’ve been working with lately, and it’s been rewarding because the dogs have done really well. 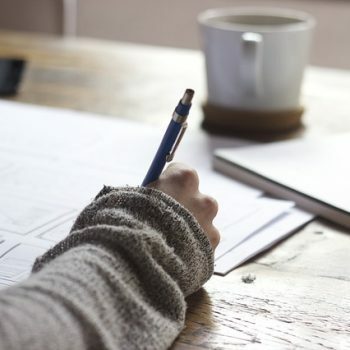 There are three important things to keep in mind as you read this. Smelly, Itchy Dogs: Can It Be a Yeast Infection? Although we may think that the body lives alone, it actually shares itself with many organisms including yeasts. 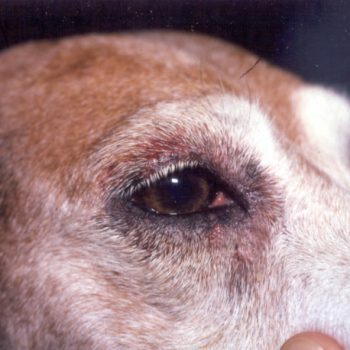 The type that’s most common in dogs is called Malassezia and it exists happily on skin without causing a problem unless something happens to create havoc, giving the yeast the opportunity to overgrow. 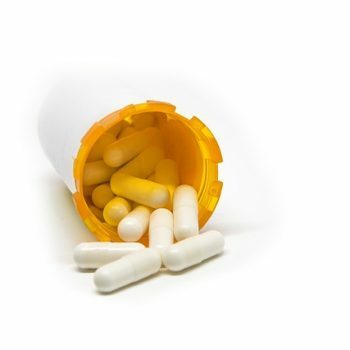 For example, an allergic flare-up is a fairly common cause. An allergy to what though? It could be to a food, or something in the environment. It can also be due to a hormone imbalance, or an immune deficiency (veterinarians can test for this) and if the dog happens to have excessive oil production of the skin (seborrhea), s/he is predisposed to yeast overgrowth to begin with. So, how do you know the problem is yeast? Read more Smelly, Itchy Dogs: Can It Be a Yeast Infection? Dogs can need dietary help for many reasons including being able to find a forever home. Anyone working in rescue knows this. 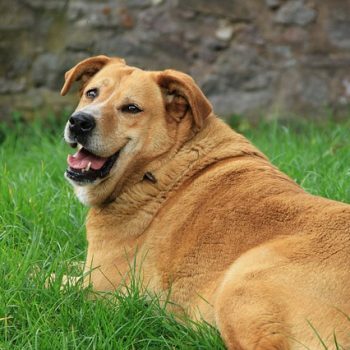 It’s difficult to get a dog adopted into a good home if that dog has ongoing gastrointestinal troubles and that include anything from diarrhea to bloat, or is in kidney failure, liver failure, etc. There aren’t all that many people who will take on the financial and emotional challenge of a dog like that. My role has been to minimize the problem by dietary means, but even that can make it difficult to find an adopter because not everyone is willing to prepare a home-made diet. So, what do you do when you need to continue feeding a commercial diet, but improve things enough to make the dog more adoptable? Here are some of the dogs on my roster who ended up being adopted and treasured. They make my day whenever I think of them. 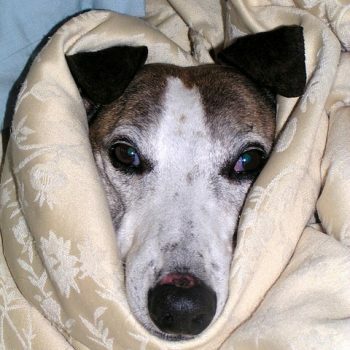 Hyperthyroidism isn’t rare in cats, but it’s very rare in dogs. 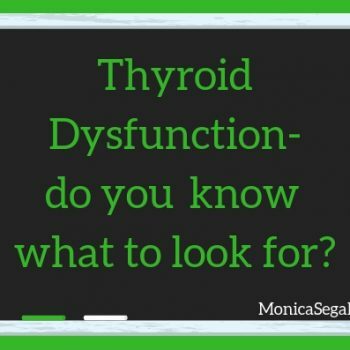 In fact, when the test results show canine hyperthyroidism, the conversation turns to the possibility of lab error, or thyroid carcinoma and everyone scrambles to find answers quickly. Is there a difference? There aren’t farms that grow chickens to be consumed by people and other farms growing chickens to be eaten by dogs and cats. There aren’t oceans full of fish for people and other oceans designated for those that dogs and cats will consume. Food is food. This relates to the way some people think of boosting the immune system via diet. 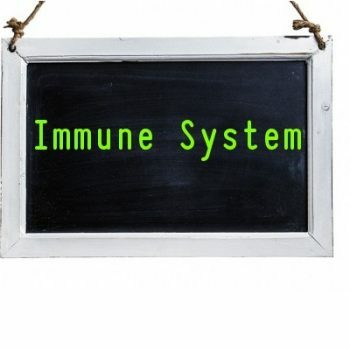 First, we need to understand what the immune system really is because people seem to talk about if as if it’s a sagging muscle that needs to be lifted in some way. Despite the start of this, it leads to diet. Then again, just about everything leads to diet in my world. I’m not sure what to call it. 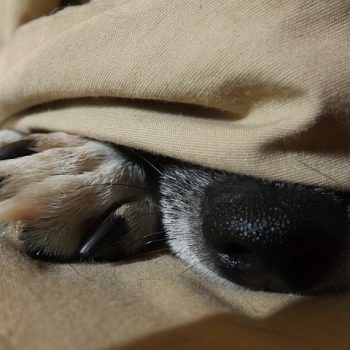 Maybe it’s radar of some kind, maybe it’s a connection from one soul to another, but most of us know when our dogs are “off”. Sometimes we can’t even put a finger on it and we feel silly trying to describe what “off” might mean. 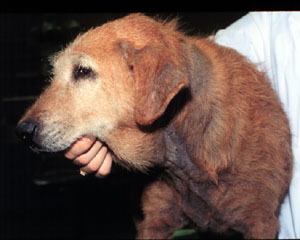 For example, I had a friend who swore she knew when her Golden was “off” by the way his whiskers looked. Crazy? Maybe, but she was never wrong. Not even once. 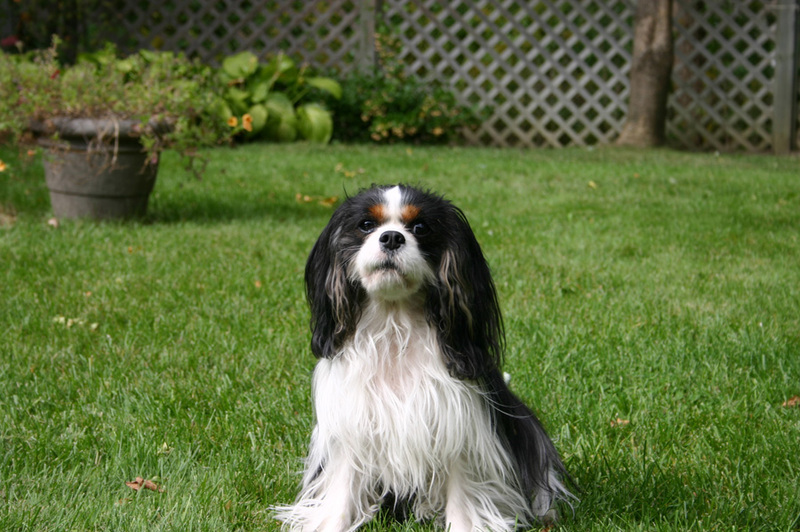 I’ve been formulating canine diets since 1998, and my dogs, Zoey and Cassie had IBD and colitis, so it seemed natural that most clients had dogs with the same problem. They related to my experience with GI diseases, and I could certainly relate to theirs. This still holds true, although today’s clients run the gamut from healthy dogs to ones with all types of serious diseases and conditions. 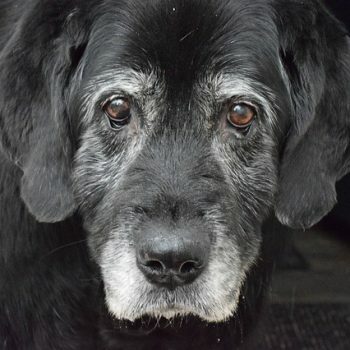 I have a “thing” for older dogs. Ok, I seem to have a thing for all dogs, but the older ones really get to me because they’ve given us their entire lives with pure love and abandon. So, I want to talk about what we can do to make things better for them from a dietary perspective. 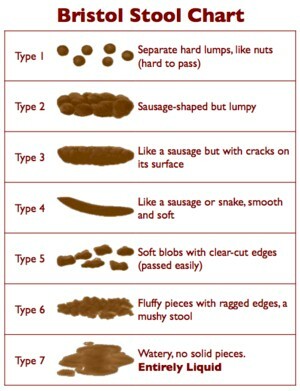 What’s Your Dog’s Poop Score? 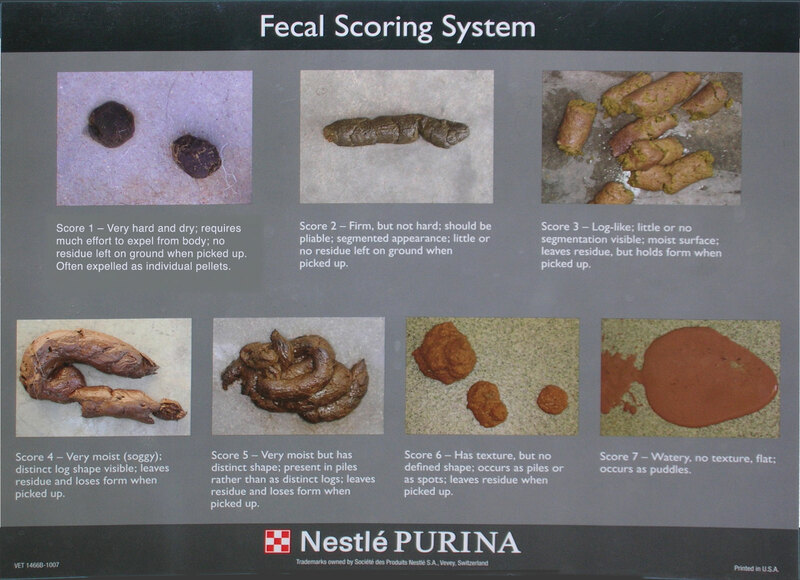 There was so much response to my FB post about dog feces that I want to show you this scoring system, too. That’s right – there are scores that you can point to when conversing with the vet. In fact, I think it would make conversations easier if all vet offices provided this. Purina’s made it easy. Now it’s up to vets and their clients to use it. 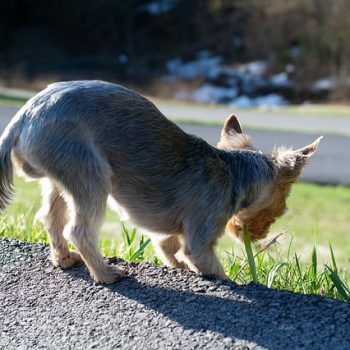 Dogs with GI problems are more likely to produce # 4 – #7 prior to the condition being under control, but eating something (food that doesn’t agree with the dog, leaves, and whatever else dogs gobble down without the owner noticing) can cause this as well. Read more What’s Your Dog’s Poop Score? People, especially puppy owners ask me if I think that having pet insurance is a good idea. I suppose it depends on a lot of factors. How much money you have in case of medical care being necessary, how old your dog is, and what if any health conditions might be considered pre-existing. 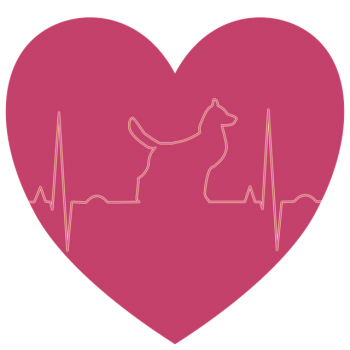 But let me share why I think that overall, pet insurance from a really good company is a life-saver …literally! Tori is the third dog we’ve had insurance for. The first was Zoey who maxed out on gastrointestinal claims before she was 2 years old. Insurance coverage had paid for itself many times over by then. 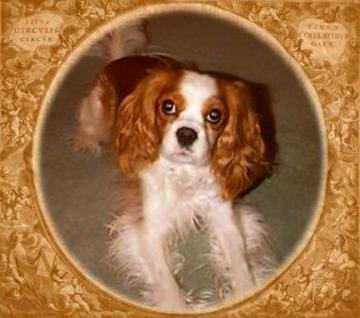 The same was true of her half-sister, Cassie. Then came Tori and I distinctly recall asking her breeder for the microchip number (the insurance company wanted the info) and being told that we didn’t need insurance because she was a healthy puppy. Read more Is Pet Insurance Worthwhile? Can You Feed Pork To a Dog? A myth, but one that circulates often. Some veterinarians give this directive as well. So, when did it become such a no-no to feed pork? A very long time ago, and for valid reason (let’s just say it’s a myth with sort-of factual origins). 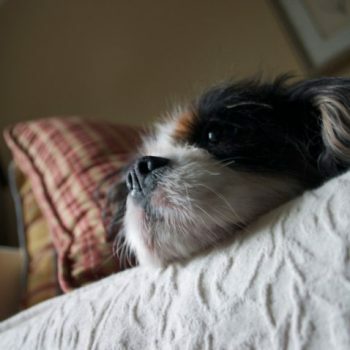 Bacon drippings, bacon itself, fatty ham…all of these can be problematic for many dogs. 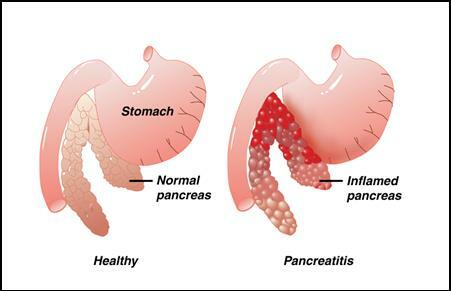 And that’s what some people were feeding when their dog developed pancreatitis, colitis, etc. It’s not about the meat. It’s about the fat content. 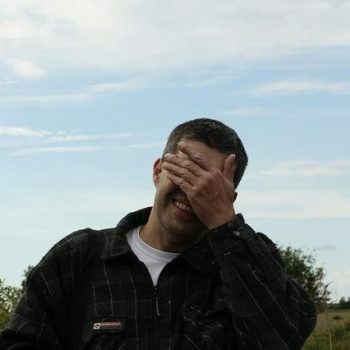 So, it seems that people made assumptions i.e. 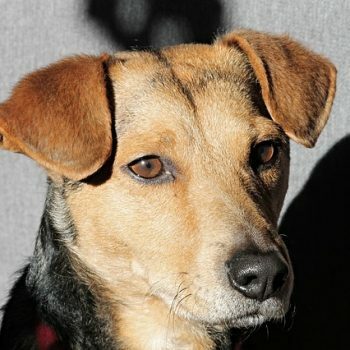 dog became sick when eating ham/bacon/fatty parts (pick one) = pork should never be fed to dogs; pork is hard to digest, and other such notions. 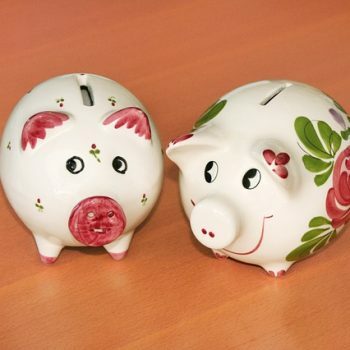 Read more Can You Feed Pork To a Dog? I want to give a shout-out to Demi and her dog King. 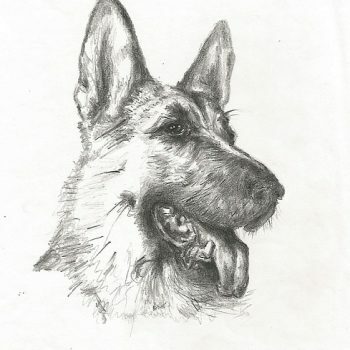 Demi wrote to ask me if I’d share King’s story, and you can bet I will because it goes to show just how much a dog’s life can change for the better. Put down your coffee cup or whatever you may be eating. We’re about to get into the nitty gritty about dog poop. 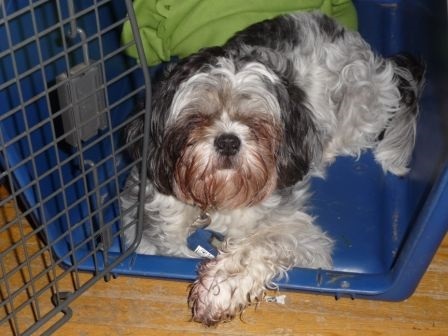 For 20+ years, I lived with dogs that had gastrointestinal (GI) diseases, so poop-patrol was a serious part of life. If you have one of these dogs, you know exactly what I’m talking about. You feel trepidation every time the dog defecates, stare at it, and pick through it with a stick if you can pick through it at all. 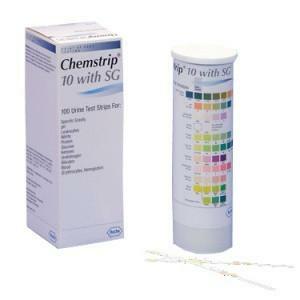 Sometimes we need a stop-gap measure to decipher the cause of itchy skin. Let me use our Tori as an example. A food allergy involves the immune system. Think peanut allergy in people, for example. BIG reaction! 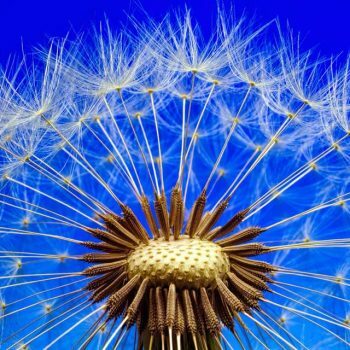 The immune system has a memory like no other, so an exposure to the allergen will cause a reaction every time. 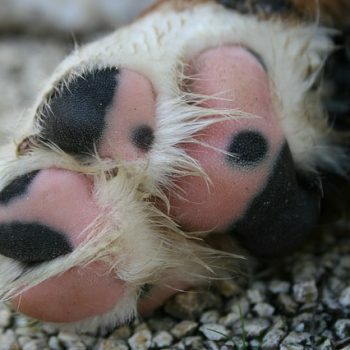 In dogs, you’ll see this as excessive scratching, chewing paws, biting of flanks, and there may be ongoing gastrointestinal trouble. An intolerance to a food (think lactose intolerance) will also cause a reaction, but the immune system is not involved. You drink some milk, have some pain and diarrhea and then it’s over. 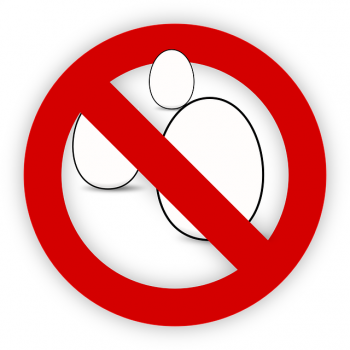 Unlike an allergic reaction which causes the body to send off chemicals to protect itself from what it believes is a foreign invader for weeks to months, an intolerance ends once the offending food has been removed from the diet. So what? Why does the difference matter? Ok, so they’re not from Italy. In fact, my dog thinks these are from heaven. She lies on the kitchen floor and waits patiently until they’re in the oven. Then she moves over to sit in front of the oven and stares as if an invisible hand might make them disappear. I use organic brown rice flour, but you can use another type of flour if you prefer. Keep in mind that rice flour is soft while whole wheat flour, for example, is hard. That means you’d probably need to use less of the latter. 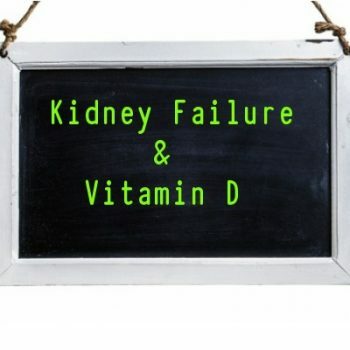 Many of my clients with dogs in kidney failure are confused about supplementing with vitamin D. They read websites and belong to a variety of on-line chat groups that offer opinions, but confusion results due to opinions often being so different from one another. It’s stressful enough to have a sick dog without adding confusion to the mix because someone says to restrict vitamin D. Ah, but there’s vitamin D and and then there’s vitamin D! It’s a bit of a drunkard’s walk, so bear with me. I work with a lot of dogs that have gastrointestinal (GI) trouble. IBD, colitis, you name and it and I’ve probably consulted on it, but more than this, I have a 20+ year history of my own dogs with GI troubles. Someone once joked that it was if I had a sign on my forehead that read “All GI dogs welcomed here”, and it seemed true. Maybe those dogs were sent to me so they could teach me about the disease processes and what we can do about them, or maybe I just need to fabricate some reason for my own musings, but two things are true: The dogs suffer and the owner suffers right along with them. Both are said to be good stuff, and heaven knows we can find them added to all kinds of foods (especially in dairy products) and supplements these days – but what the heck are they? And are they really good, or just another sales pitch being thrown our way? A bit of both, actually. I wrote a brief post about this a while back, but if my in-box is to be believed, expanding on the information is of interest to an awful lot of folks; not just for their dogs, but for themselves. Inulin and fructo-oligosaccharides (not quite the same, but used interchangeably) aka FOS are basically nothing more than carbohydrates belonging to a class of compounds known as fructans. 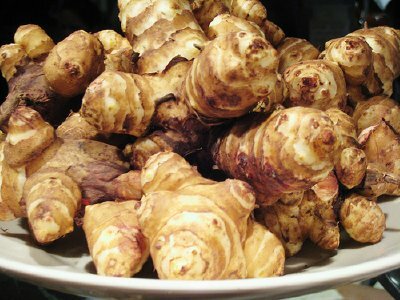 Read more Inulin, fructo-oligosaccharides…say what? So You’re Feeding a Venison Diet – Really? You’re feeding an over-the-counter (OTC) venison diet…or are you? It turns out that some commercial diets labelled as containing venison as the only meat source, can include other things that may trigger an allergic response. “Three of the four over the counter (OTC) venison canine dry foods with no soy products named in the ingredient list were ELISA positive for soy; additionally, one OTC diet tested positive for beef protein with no beef products listed as an ingredient list. 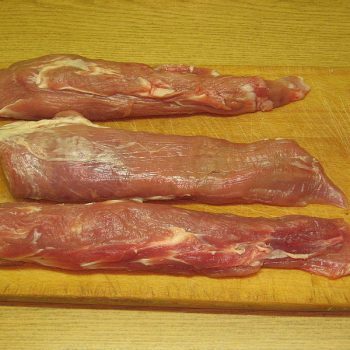 One OTC venison diet was not found to be positive for soy, poultry or beef proteins. However, none of the four OTC venison diets could be considered suitable for a diagnostic elimination trial as they all contained common pet food proteins, some of which were readily identifiable on the label and some that were only detected by ELISA.” Read more So You’re Feeding a Venison Diet – Really? 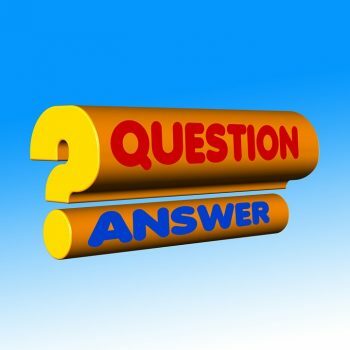 Q: What is elemental calcium? A: Every calcium source (egg shells, calcium citrate, etc) includes a percentage of pure calcium (the stuff that’s going to be absorbed). “Elemental” refers to the amount of real calcium – the amount that counts. Q: Different sites give different amounts of calcium per egg shell. What’s the truth? Which Supplement Does My Dog Need? Here’s the thing: It’s all about what the supplement is attempting to address, how safe it is for a dog, and the purity of it as well. So, what exactly are you using the supplement for? To address joint problems, digestive problems, balance a home-made diet, or are you adding supplements as a proactive measure? First thing first. 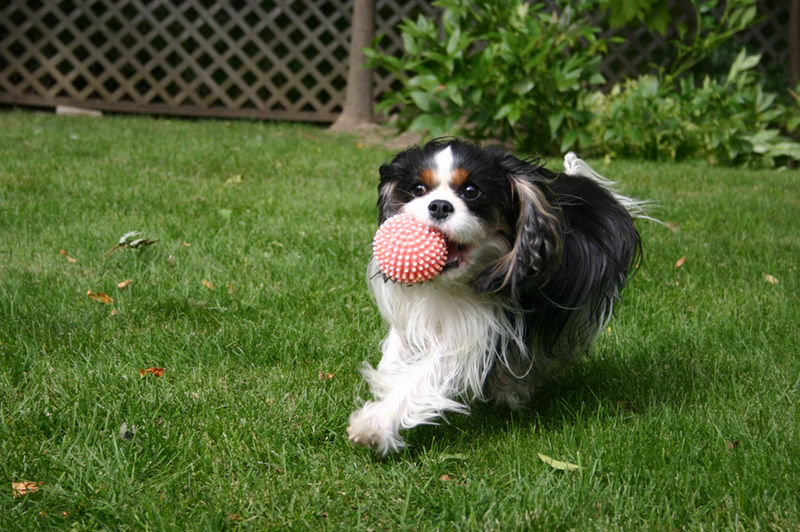 Your dog needs a balanced diet and how you go about doing that is a matter of belief system. For some, it means commercial foods and only commercial foods (no “people food”). 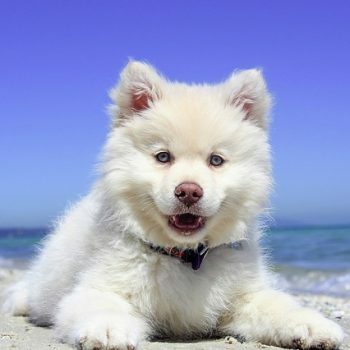 In these cases, add supplemental taurine if the food doesn’t include it, and you might need to add a joint supportive supplement (glucosamine with chondroitin for example) if the dog has osteoarthritis, and it’s probably a good idea to add wild salmon oil and a bit of vitamin E as well. Read more Which Supplement Does My Dog Need? 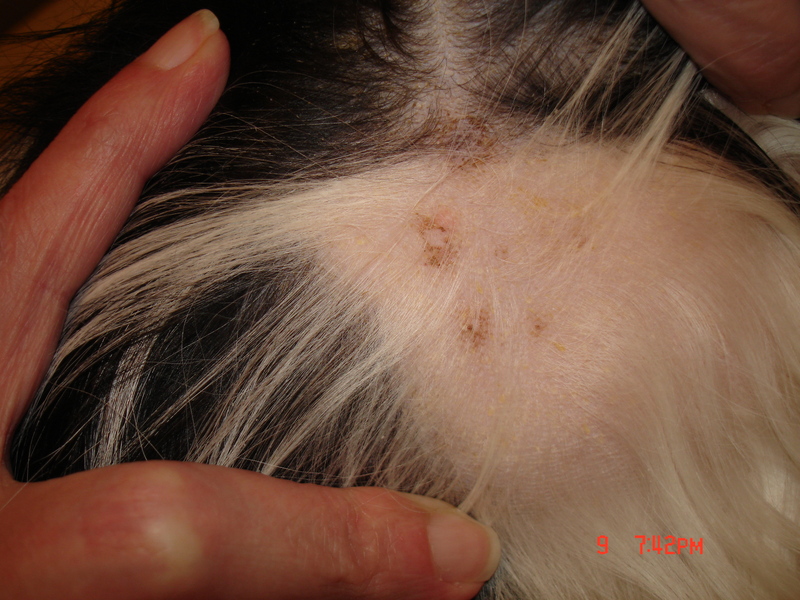 Can Diet Be Related to Skin Problems in Dogs? 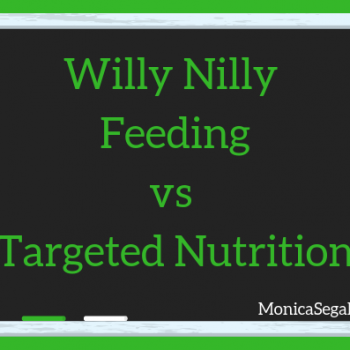 If I had to pick one thing that drives me batty about home-prepared diets, it’s the willy-nilly feeding promoted by certain book authors and chat groups. Don’t get me wrong. Feeding a varied diet can work well, but when it doesn’t, it’s usually just when you’re feeling pretty cocky about it. The dog can start to break down. And I do mean break down! 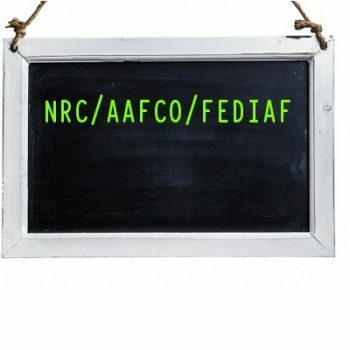 Feed a home-prepared diet that meets the recommended allowances for dogs (per the NRC), and this simply doesn’t happen. 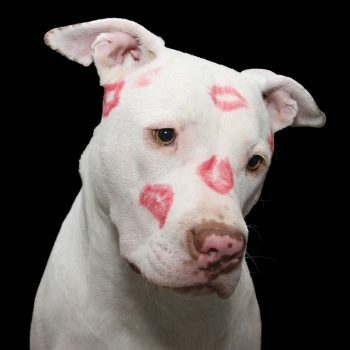 Here are some scenarios of how and why the willy-nilly method might look great as well as the how and why of the break down – followed by a story to explain my little rant: Read more Can Diet Be Related to Skin Problems in Dogs? My roster includes a lot of canine athletes. 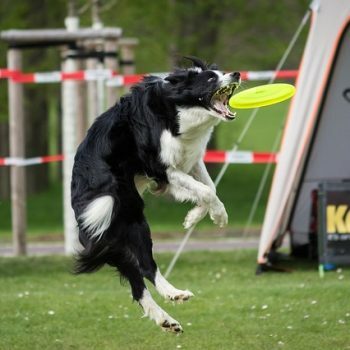 The reason most of them end up with me is because owners want a great diet for their dogs, but the emphasis is on stamina and duration and the right diet is pretty darn good at getting a dog to improve on both. They all do it, but some more than others and some are obsessive about it. If you’ve ever tried to go to sleep with background sounds of lick, lick, slurp, chew, lick, you know what I mean when I say it can really get on your nerves. You tell the dog to stop, s/he does for a while and then goes back to it, usually with more fury. Some bite their nails as well. You would too, if you were itchy and prevented from scratching. That’s one side of the coin. The other is neurotic behavior and it’s a tough one to break. Since I’m not a trainer or behaviorist, let me tell you what’s helped dogs that have this issue due to diet and a few other factors. CoQ10 is a compound that the body makes naturally and uses for cell growth. 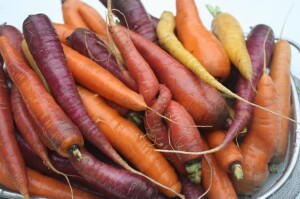 It’s a potent antioxidant that protects cells from damage that can lead to cancer. Genes, which are pieces of DNA, tell the cells how to work in the body and when to grow and divide. Damage to DNA has been linked to some kinds of cancer. 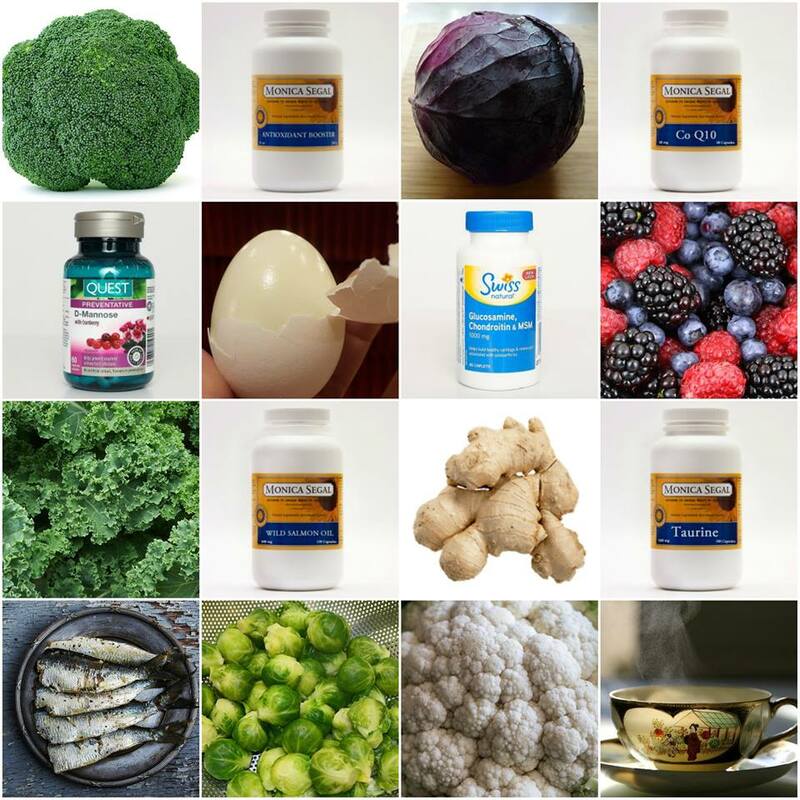 By protecting cells against free radicals, antioxidants help protect the body against cancer. 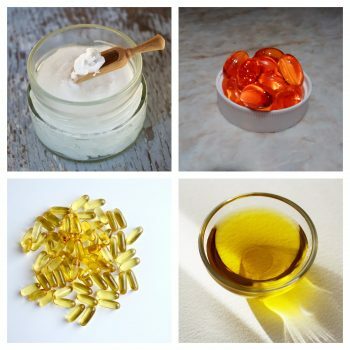 The amount of coenzyme Q10 in body tissues decreases with the aging process. Animal studies show that CoQ10 helps the immune system to work better and helps the body to resist certain infections and types of cancer. 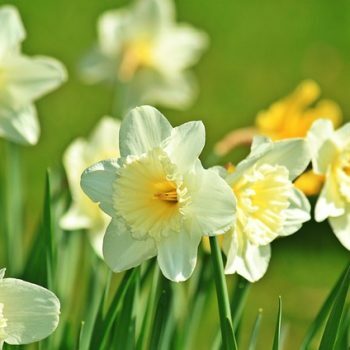 Also, CoQ10 helped to protect the hearts of study animals given the anti-cancer drug doxorubicin. This past Saturday, I gave a private talk about home-made diets to prevent and deal with bladder stones to a small group of 33 people including breeders, veterinarians and vet techs. 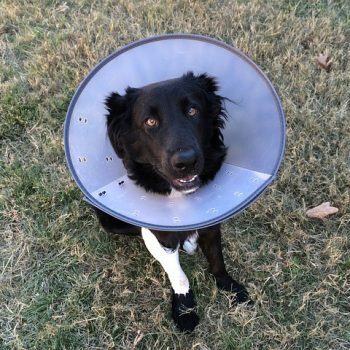 I’ve had good luck in dealing with dogs that develop bladder stones and a lot of it has to do with a focus on dealing with the current problems, but being as vigilant as possible about occurrence in the first place. My talk was followed by about a three hour question and answer period. It’s great to see such enthusiasm from breeders and vets because both play critical roles in teaching the public. Most dog owners think of healthy skin as being that which doesn’t leave white flakes on the coat and isn’t scaly to look at. True enough, those two things are signs to look for, but how do you get there? We know that the skin is an organ and it needs proper nutrition, but we don’t often connect this to water intake. Healthy skin minimizes the migration of moisture upward from deeper dermal tissues. Fatty acids in the skin do a good job of preventing water loss. In contrast, fatty acid deficiency can lead to a poor barrier, encouraging water loss, so the dog might drink a lot more water to compensate. Despite the popularity of this myth, the fact is that adding brewer’s yeast or nutritional yeast to the diet does nothing to detract fleas. I’ve often been pointed to websites and books that make this claim and some people insist that they can prove it’s true. Their proof is that their dog never had fleas while ingesting this yeast. By that logic I can point to my Zoey who never ingested brewer’s yeast and never had fleas, therefore I could claim that not eating it kept fleas away. Obviously, it’s ridiculous at best! Numerous trials show that a combination of primrose oil and fish body oil (wild salmon oil is my preference) helps dogs with atopic dermatitis. I really like that science tries and often wins in pointing us in the right direction, but I think that observation has a place as well. For example, science asks how much of each fatty acid is the right amount and under what circumstances. Important questions, but are we going to sit around while a dog is mutilating him/herself until scientific knowledge provides an answer? Veterinary dermatologists seem to have decided not to wait. Most will supplement with essential fatty acids once the more obvious problems have been ruled out. 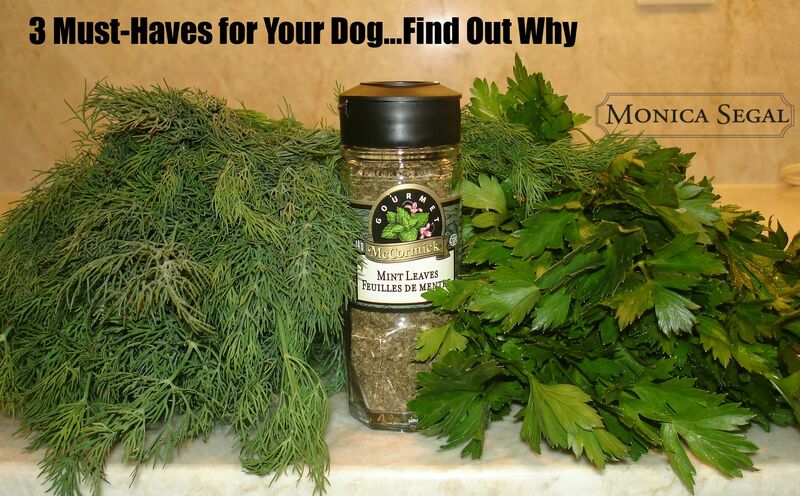 No fleas, no mites, no bacterial infections, no yeast overgrowths, etc. Or, treat any of the above via medication(s) and shampoo therapies and if a problem remains, use essential fatty acids, sometimes in combination with particular vitamins and/or minerals. 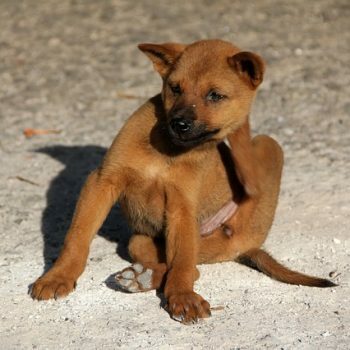 Read more Does Your Dog Have Itchy Skin? Also referred to as IBD, dogs with this disease have common symptoms although not all dogs will experience the gamut of them. Diarrhea, mucus in the stool, a sheath that looks like a sausage casing around the stool, vomiting, weight loss, noisy tummy sounds, refusal of food, hiding after eating…basically, a lot of obvious signals that the gastrointestinal tract is in bad shape and the dog feels poorly. 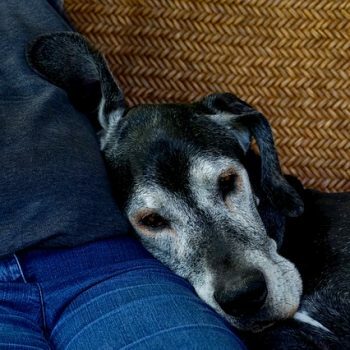 Arthritis doesn’t necessarily care if the dog is young or old, but the older ones are the most likely to have the problem and I have a thing for old dogs. They’ve given us their whole lives and now they need us more than ever. People send me a lot of emails about their dog’s stool. Sometimes, they send pictures of it. No, I’m not kidding. They want to know if the poop looks to be the right color, texture, etc. They’re worred (I get it) and even more so if they’ve read something on the internet about what the perfect stool looks like and Fido produces anything different from that. The latest cause for their concern comes from a site that states healthy stool must be hard/firm and brown, but it must turn white within a day and disintegrate within two days. Anything other than that is considered to be bad. So, now we have not only a description, but a timetable to follow! Seriously? The excitement about prebiotics is deserved but overdone. It’s deserved because sometime in the mid ’90s a doctor in Brussels coined the term to describe something that’s very old but wasn’t understood all that well. It’s overdone because prebiotics have been around from the start. It’s just that we didn’t have a fancy name for sugar molecules that escape digestion and so, help to feed the good-guy bacteria in the bowel. Probiotic bacteria aka good-guy bacteria (remember that acidophilus is proven in dogs whereas others are questionable at best) helps to crowd-out nasty bacteria. Some of the things that others consider to be more complicated may nevertheless be very worthwhile. This is the take-home message I got after reading the article I’m going to point you to, but the message isn’t new, really. I’ve never doubted the power of balanced home-prepared diets. What I find exciting is that it’s finally being recognized by scientists focusing on dogs. The general classification of amino acids is broken down into three categories. 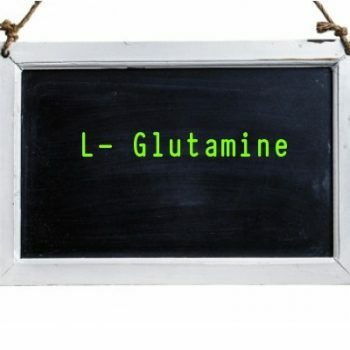 Essential amino acids are called essential because the body isn’t able to produce them, so they have to come from foods. Taurine is an amino acid known for heart health, but it also has a role in eye health. The body can manufacture taurine from other essential amino acids in the diet, so it’s been considered an unessential amino acid for this reason. In other words, as long as the diet provides sufficient amounts of all essential amino acids, we shouldn’t have to worry about taurine. But that turns out not be the case for all dogs, or even for people.